Metro is widget builder that shows a Shopify store’s categories or products in an interactive way best fit for store’s homepage, which is like a website’s virtual front door, and can serve as a place to jump start site exploration. Metro makes it easy for visitors to discover their desired products/categories right from the start. 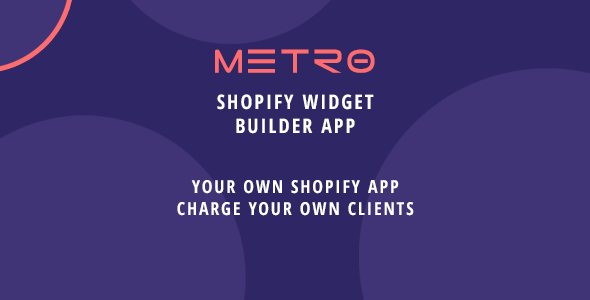 Basically Metro is a full Shopify App which it’s built as a WordPress plugin making easy for you to administrate multiple stores right from your WordPress Admin area. Metro also allows you to place recurring charges for stores that install the app. With Metro you can stop paying recurring charges and have your customers (shop owners) pay recurring charges to you, there is no limit on how many shops install the app.